We were recently on the most westerly of the Balearic islands. The hedonistic hotspot of Ibiza…the White Isle! Heading north west from Playa d’en Bossa, where all the wedding preparations were taking place, is the wedding venue of Elixir Shore Club. It can be found near Cala Codolar, perched on the cliffs overlooking the beach. It has a very good reputation for hosting weddings on the island. It has this reputation because it delivers time and time again on the fundamentals in delivering a good wedding celebration. As soon as you walk through the rustic and weathered wooden doors, you descend to the terraced area where the view of Es Vedra hits you square in the face. A truly spectacular vantage point of the iconic island of Es Vedra with all the supposed magnetic energy forces which envelops this small island. An old wives tale which unfortunately is not true. But despite this Es Vedra s still a very spectacular sight which is made better by the sunset which rarely disappoints on this side of the island. Elixir Shore Club face west and looks over the Mediterranean so you are almost assured of a wonderful natural spectacle as the sun reaches the horizon. The venue is well designed with a heavy canvas canopy which stretches over the wedding breakfast area. The venue has the terraced area where the ceremonies are held and the interior space is dedicated to the bar and dance floor for the hours which follow the wedding breakfast. The beach is a five minute walk from Elixir Shore Club and is a good place to capture some sunset photographs of the couple or weddings guests. The beach is less populated around 8pm. This is the window around sunset which is the best light to accomplish any photographs of this nature. For a detailed description of what this venue can offer then click on the link below. 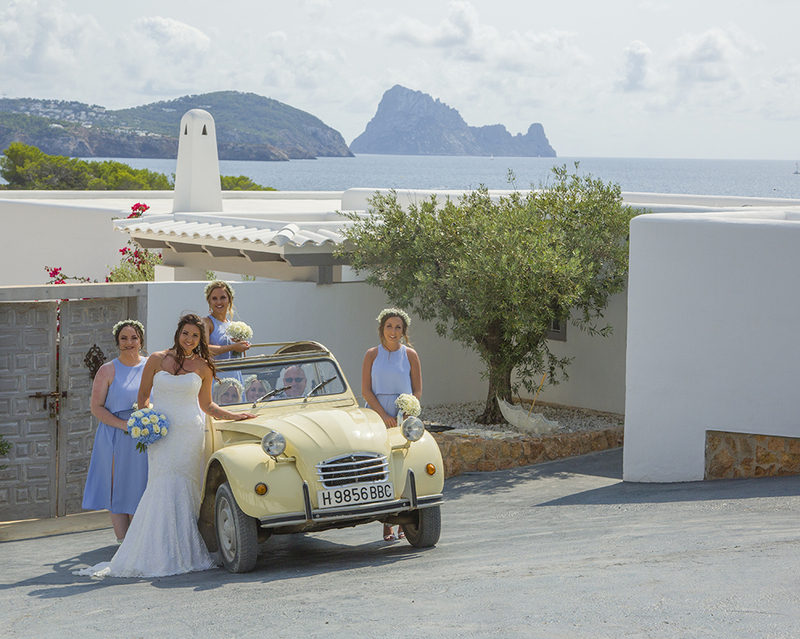 Click on the link for more from this great wedding venue on the island of Ibiza. We have photographed here many times. We always get strong results for our customers and your photographer will also.